It has been a while now since the deal that saw Google purchase smartphone manufacturer Motorola went through, and since then we have seen a steady stream of rumours and speculation about the first range of products from the company. 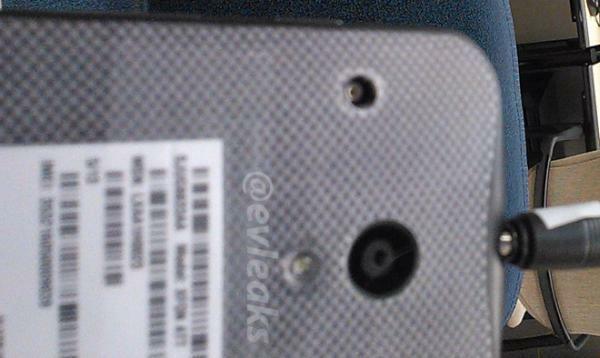 Now the Motorola X Phone allegedly gets pictured while being given a codename of Ghost with an earlier than expected release. Quite often handsets get leaked and one pretty accurate source of smartphone information is @evleaks that were most recently correct with the LG Optimus G Pro for AT&T. 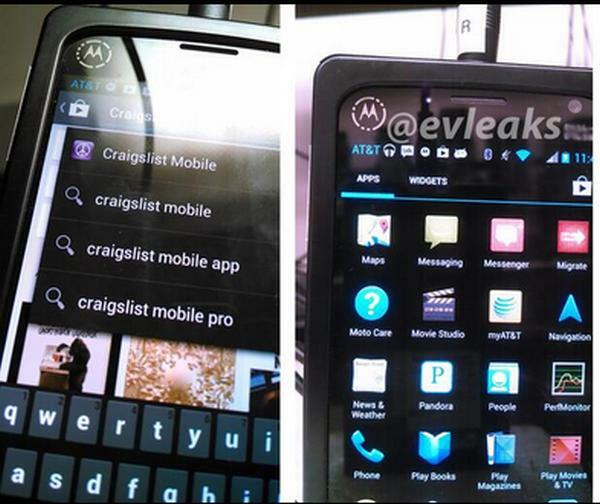 Now the images that you can see on this page is possibly the Motorola X Phone that according to other sources of Phone Arena is the real deal. The Motorola X Phone has a codename of Ghost and you can’t see the whole of the handset as it is fitted with a black non-disclosure case, and the sources are suggesting the image of the rear panel is the handset itself and not any kind of cover. It is also being claimed the handset is manufactured from polycarbonate that may disappoint some smartphone consumers, and the image fits in with previous rumours of the device. Both the power and volume buttons have been placed on the right hand side of the handset on the edge, while the headphone socket is on the top edge. The handset is also reportedly going to support all major carriers with both AT&T and Verizon already down to be getting the new smartphone, and the M Logo that can be seen on the device won’t be present on the final release model. There is also talk the device will be released at the beginning of July and while the prototype currently features a 720p display, the release version will be packing a Full HD screen. It is thought to be around 4.7-inches along with 2GB of RAM and 32GB of internal storage. It will run an almost stock version of Android with just a couple of Motorola features added on top and available in a variety of different colours.